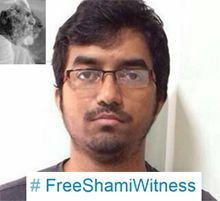 Indian police, with the help of Twitter, have now gone through Shami Witness' (Mehdi Masroor Biswas)list of 17,000 plus followers and his tweets. What have they found? Sources privy to the investigation, meanwhile, admitted that sleuths are yet to find anything incendiary, which involves Mehdi directly. An officer said they haven't come across any tweet in which Mehdi asks for specific acts of terrorism to be committed. "He is more of a cheerleader. He supported ISIS activities, shared messages backing the outfit and egged on the cadres, saying what they were doing was right," he said. Reuters has a really good article about ISIS today, "In Northeast Syria, Islamic State Builds a Government." I'll add some more articles throughout the day. What are you reading about ISIS you find worthwhile? I'm also surprised that no major media has been writing about ISIS military chief Omar Shishani lately, or its chief enforcer, Abu Waheeb (also spelled Wahib.) And no one is trying to figure out who the executioner is any more. Either the Government knows and isn't saying, or they are still not sure. I don't think it is any of the four Brits the media has named, particularly the so-called rapper. He's much more hyper when he speaks and his speech isn't the same. Again, this is kind of an open thread related to ISIS, and articles you have found helpful and would recommend to others.